A house wiring diagram is usually provided within a set of design blueprints, and it shows the location of electrical outlets (receptacles, switches, light outlets, appliances), but is usually only a general guide to be used for estimating and quotation purposes. Actual outlet location, number of outlets, type of outlets, heights, and other details must be calculated and installed according to the electrical code or local rules having jurisdiction over electrical installations in your municipality or location. Other more detailed house wiring diagrams are available in various forms, including print, digital, or electronic, at home improvement stores, or on the internet. These house wiring diagrams can provide more detail, like circuit layouts, including the proper number of outlets on the circuit, the rating of the breaker feeding the circuit, and the proper size (AWG) of the wire to use for the circuit. House wiring diagrams can include details right down to how to terminate cables in a device box, the proper splices to make, and the connections to the devices. There are some very good software programs available that can help you create and design your own house wiring diagram. Examples of a few good programs available are listed at the end of this article. House wiring diagrams can be very simple, or very complex, depending on the level of information that you may require. 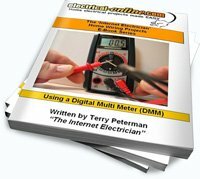 This entry was posted in Creating a Wire Diagram, Wiring Diagrams and tagged appliances, AWG, breaker, circuit, diagram, electrical, electrical code, electrical installations, electrical wiring, estimating, house wiring diagram, household wiring, outlets, receptacles, switches, wire, wiring, wiring diagram. Bookmark the permalink.